For insurance carriers and building owners alike, risk management should be a coveted aspect of their relationship with an insurance restoration company. There are several means that successful restoration companies contribute to risk management on a project and those are a combination of experience, great customer service, resources, wide coverage area and training/certifications. The more credentials a restoration company and its employees have, the higher the probability that they’ll do the job right the first time, and therefore minimize risk. By following IICRC protocol, damage gets stopped quicker, materials get cleaned to the level needed to stop further damage, and expectations are met. Wolgast is an IICRC firm with employee-owner, staff members that have a variety of certifications pertaining to their area of expertise. We have obtained these top credentials to be recognized by Third Party Administrators (TPAs) as an expert in microbial, fire, smoke, and water remediation since insurance carriers rely on the TPAs to provide a qualified insurance restoration company to fulfill whatever is their present need. We actively train to be prepared for each project that a TPA deems is a fit for us so that we can minimize risk, and create a positive experience and rating within each system. That is very important because it’s expected of us and effects future opportunities, so we complete our continuing education and have sought out additional training opportunities for our staff. We’re dedicated to being at the top of TPAs’ lists with a good track record, vast resources, wide market area, great customer service and the appropriate training. Therefore, our credentials include: Certified Subrogation Recovery Professionals, IICRC Certified, HAAG Certified and Residential Roof Inspector, Water Damage Restoration Technician, Applied Structural Drying Technician, Applied Microbial Remediation Technician, Fire & Smoke Restoration Technician, Contents Processing Technician, Commercial Drying Specialists, and many others that involve flooring, textiles, and trauma situations. Furthermore, we’re backed by a 70+ year, licensed and insured construction company to rebuild a structure if needed and be considered your complete restoration and risk management solution regardless of the size of the loss. Planning for a disaster is the best way to get through the mayhem faster. However, how does a property owner or manager fully prepare their building for all types of disasters? 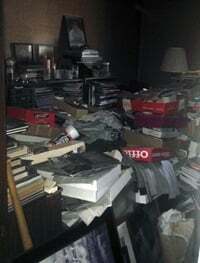 It can feel like a never ending and expensive task when you try to ward off a storm, flood, fire, vehicle impact, etc. without proper direction. And rather than attempting to avoid all disasters, we recommend that the solution is a Disaster Response Plan (DRP) organized by a professional restoration company. This plan will contain all the information needed to quickly react in an unforeseen incident involving damage to your properties. Each DRP partnership is customized to a client’s specific business needs and building structure. To provide more detail, a DRP is a record of documents that include all pertinent information about a building or campus that a restoration contractor would need to quickly mobilize appropriate equipment, along with the contact information for responsible parties of building functions. This type of plan is highly beneficial for large, public buildings or entities responsible for multiple buildings, such as school districts, multi-family housing, or hotels for example, which can have a variety of risks to their separate structures. Having a DRP on hand can lead to loss prevention, reduce the size of the loss, a quicker response time, and a faster restoration process. Loss Prevention: Identifying potential hazards that can preemptively be changed before disaster happens. Reduce Loss Size: Knowledge of structures layouts and utility shut-offs once on site can minimize issues. Response Time: Business owner or manager can make a quick call to their restoration partner and they are also placed on our priority list. Faster Restoration Process: The partnership that happens in a DRP relationship authorizes us to start our process with the insurance company instantly and prior knowledge of the building allows us to be prepared as we come on site. 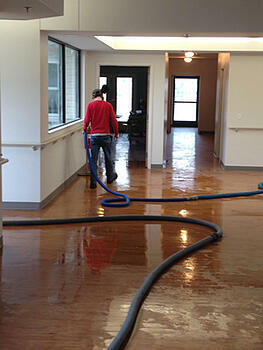 This can result in months of time savings in your business and building restoration. For instance, if a pipe bursts in the middle of the night, your restoration contractor can mobilize and bring the right equipment or materials and contact the plumber before they even show up to your building, rather than getting there and assessing the situation and then taking action. 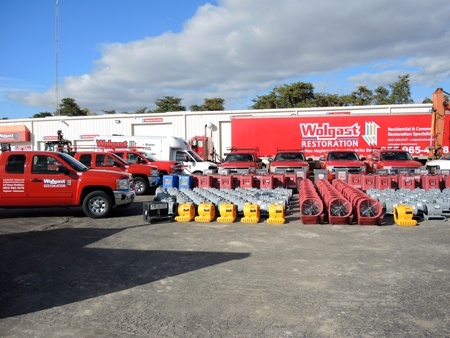 Working with Wolgast Restoration to develop your DRP means that we will already have knowledge of your facility in the event of an emergency and can react quickly to minimize the damage earlier and in turn save you time in the restoration process and lessen your business interruption. If you have further questions or would like to set up an appointment to learn more about a partnership, please contact, Jeremy Wagner - Wolgast Restoration General Manager at 989-781-0173. 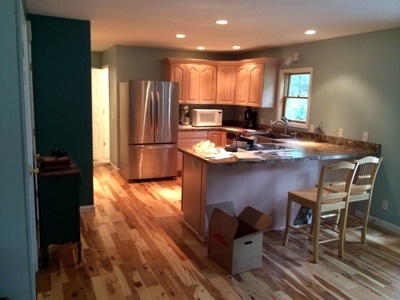 A Property Restoration Contractor is in a unique position with diverse clients and multiple customers on each of their projects. It’s the restoration contractor’s responsibility to find the best solutions that both the policy holder and the insurance adjuster can agree upon. Wolgast Restoration, a systemized company, feels they have found a solid program to be a solution provider to this dynamic team. Their systems have been developed to include the steps for best case outcomes and case studies they’ve accumulated through their own past experiences. The system dictates the steps they take on each unique project, which helps the process run smoothly, communication stay open, and expectations be met. Should expectations not be met, it can sour the relationship for most or all parties. And there are expectations throughout, first from the initial meeting of the policy holder, which is typically a highly upsetting time for the policy holder as they’ve just experienced a loss and are facing many unknowns. As part of Wolgast’s process, staff members are trained on how to handle sensitive situations. When there is a large project to tackle, sometimes it’s easy to jump into action without realizing that the policy holder’s world seems to be in shambles. Having Wolgast’s team members address the direness of the clients situation helps to start the project with trust that they’ll be taken care of. Other expectations to be met are the scope of work, what will be covered, and what the restored property will look like when it’s finished. Wolgast addresses this by using Xactimate software and following IICRC guidelines. A Restoration Contractor can easily set expectations for the cost of the restoration by using Xactimate estimating software as it’s the same software/pricing that the adjuster uses for their estimate. This takes out the guessing game early in the process. 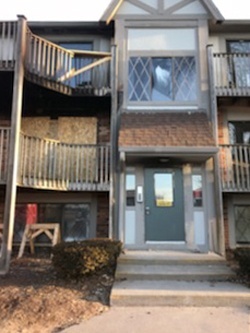 The contractor and adjuster only have to agree on the scope of work at this point, and the methods of restoration are dictated by the standards of IICRC, also well known throughout the industry. Finally, in the unfortunate case of a total loss, say due to a fire, Wolgast Restoration is part of a team of licensed Michigan Builders that have been in business for 70 years, which includes a licensed architect on staff. 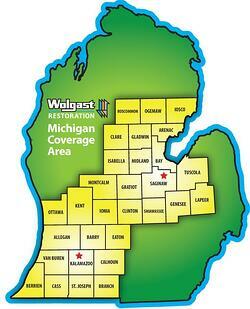 This is an advantage that Wolgast Restoration brings to the table. A team of this caliber with the knowledge of the insurance industry standards, language, pricing, and policies; plus a skilled construction workforce and architect will complete your restoration quickly, efficiently, and with expected outcomes. Lastly, Wolgast has established good ratings with all Third Party Administrators with which they work. The TPAs appreciate our professional and systemized approach to insurance restoration. Wolgast works hard to maintain their scores with these TPAs and will do the same for insurance adjusters, agents and their customers, so all parties can maintain their respective clients. The fluctuating temps we’ve experienced this winter can wreak havoc on our health and our building pipes. Neither are fun to deal with, and many who haven’t experienced bursting pipes are often caught off guard when it happens. The freezing and expanding and contracting action causes pipes to break and/or crack then water floods your building or home creating mayhem. There are simple preventive measures you can take to protect yourself from a leak and we share them with you below. Where your pipes are near or within an exterior wall, make sure there is adequate insulation. Depending on the age of your structure, you may need to add more even if it’s been adequate in the past. Fill holes such as gaps at the sill plate in the basement, or holes for cable ore electrical wires with expandable foam insulation. Also, apply weather stripping to doors and windows which can let in a draft. If you have living space over a garage, keep the garage door shut to avoid cold air exposure, and weather seal your garage door at the bottom. Don’t let your thermostat fall below 55 degrees if you’re going to be gone for an extended period of time. When you’re home, it’s best to maintain a regular temperature rather than fluctuating warm and cooler. 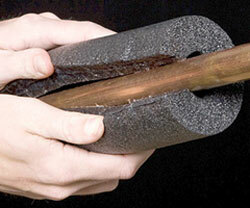 Wrap exposed pipes with pipe insulation or heat tape, such as those in a basement, garage walls, or under sinks. When temperatures are expected to significantly plummet, expose pipes to more heat where you can by opening cabinet doors at night, or allow cold water to drop at the lowest frequency possible to keep a flow of water going overnight. This is a simplified list of activities that can make a significant impact on your quality of life. We understand the imposition that flooded buildings create by forcing the mobilization of your life while the mess is cleaned up and repairs are made and we want to help you prevent that as much as we can. 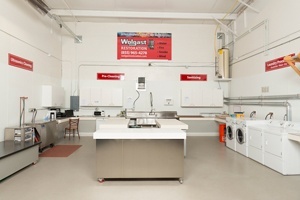 If you have any questions be sure to call us at 855-WOLGAST. I have searched online to see what industry professionals recommend for restoration companies (RCs) to gain more referrals from insurance agents and adjusters and have learned some interesting and quite varied tips. All seemed to agree, though, that customer retention and relationships were the most important contributing factors to choosing an RC. We have to agree that retention and relationships are most important, too! We would add that trust, great workmanship, and promises met are the means to achieve both these qualities. We want to have good relationships with agents and adjusters throughout Michigan and feel that we can develop connections and gain trust through our proven track record. Currently, we participate with six Third Party Administrator (TPA) programs. We’ve consistently met strict guidelines to stay active within their programs, which are in place to keep their insured happy and a customer of their respective insurance carrier. In essence that is our role as RC, do a thorough and satisfactory job for the insured for a reasonable price, so all parties are happy. 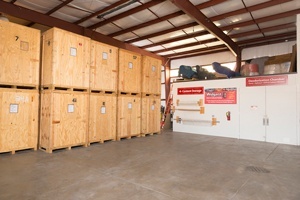 Specifically, the TPAs grade us on our customer service, response times, documentation, workmanship, and process times. Things that would be important to all agents, adjusters and insureds. We would maintain high-level performance in each of these areas for you with retention as the goal. 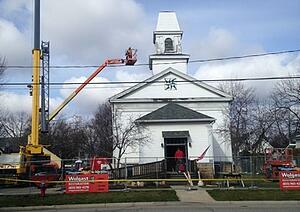 Wolgast Corporation has been rebuilding and restoring buildings that have been damaged by mayhem for 70 years! 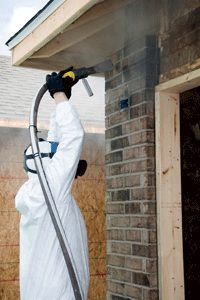 Our Restoration Division may be newer, but we have seasoned restoration professionals, credentials, experience, equipment, and two locations (Saginaw & Kalamazoo) to perform large and small emergency clean up, mitigation, and reconstruction services. We want to develop a relationship with you beyond a preferred vendors list, so that you’ll know and be comfortable with our full range of services and background. We strive and are amenable to be what all agents and adjusters look for in a restoration company. Call to set up an interview/meeting. We will perform to make you look good and keep your insured a client of your company.